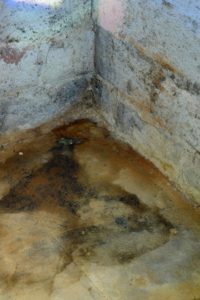 Have you recently gone down to your basement to find it has water leaking in? Instead of ignoring it, contact Allmaster Home Services. We can provide you with basement waterproofing services that will solve your leaking problem and leave you with a dry space. Allmaster has been providing homeowners across the White Marsh, Maryland, area with home improvement services since 1987, offering unique and customized solutions for specific problems such as foundation cracks, sinking concrete, and more. All of these are indications that you may need basement waterproofing and should contact Allmaster immediately to come to your home to discover the cause and customize a solution. The first step of our basement waterproofing process is to schedule a complimentary in-home consultation with you, where we will fully evaluate your basement’s issues and determine what the cause is. We will then develop a custom plan specific to your situation, making sure you understand all aspects of the project. Finally, we’ll repair your problem with one or more of our specialized products and services, such as yard drainage, sump pumps, drain systems, downspouts, crawlspace encapsulations, and more. During the entire process you will have a point of contact who will be available to answer all of your questions, ensure you’re fully informed from the beginning to the end of your project, and confirm that you are satisfied with the final result. For more information about our basement waterproofing services, contact Allmaster Home Services today. We proudly serve residents of White Marsh, Maryland, and nearby communities.